The Ink Trap: It's Digi Day at SCACD! I had a feeling you might use this little guy! :D Gorgeously coloured, love it! Gothie feline looks really awesome. Love the addition of the big green spider. 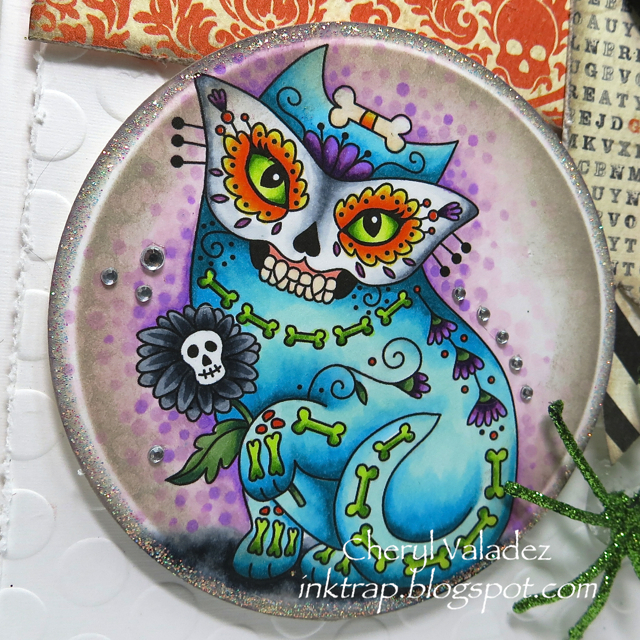 Super duper coloring on this scary gorgeous kitty! I love your card design too! wonderful card, good looking background. Fabulous! 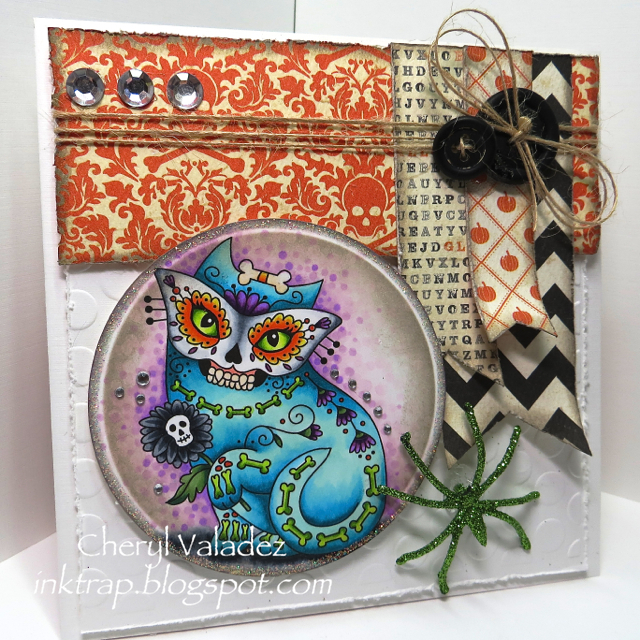 The bling around the kitty and the spider are great additions! Love the colors. He looks like so much fun. Fabulous piece, Cheryl! your cards are as always stunning, how is your mom ? Cheryl darling it's SO great to see your creations again!! This is GORGEOUS!!! Hope you are well friend!!! I love, Love, LOVE this! Fabulous coloring of one of my most favorite SCACD images.